It is the last day of the month, Halloween, and this cat is ready for the hunt. 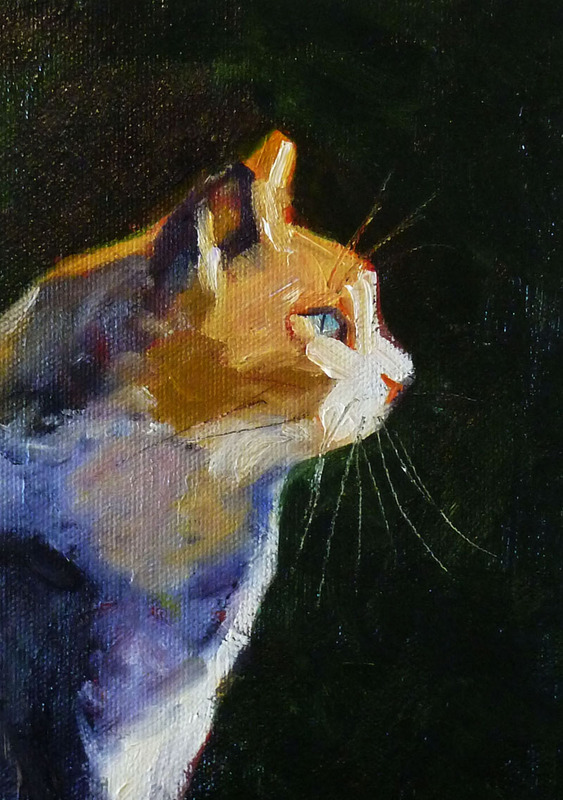 He was created on a 5x7 inch Raymar canvas panel with professional grade oil paints. If you would like to adopt him, visit here. I'm sure he's pretty good at keeping the mouse population down. This is Jack. He lives in my neighborhood. On sunny days passersby can sometimes catch a glimpse of him and his relatives. He knows his way around and avoids the backyards where big dogs live. He likes fresh grass and dandelions. 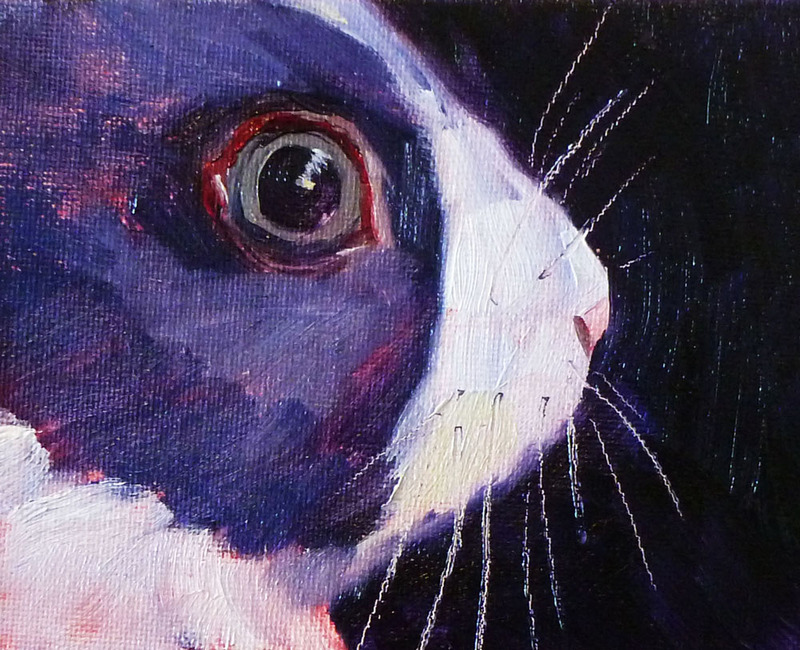 This portrait of him is 5x7 inches and has already SOLD, but more of my little animal paintings are still available here. Here is number two in my little bunny portrait series. 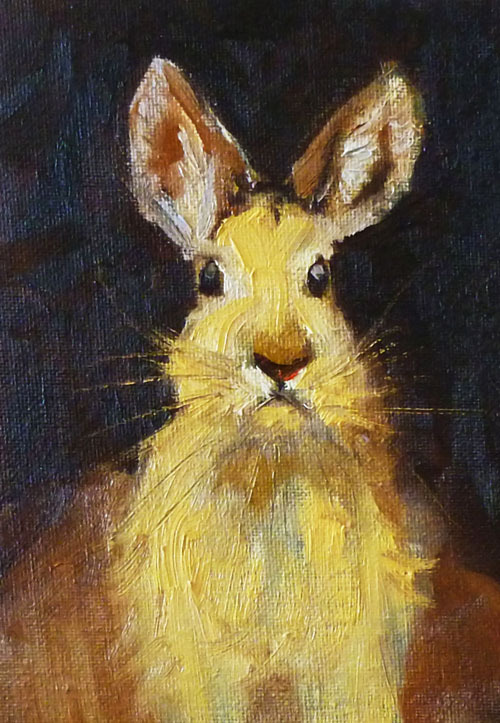 I like this cute little Dutch Rabbit. He looks a bit startled and is thinking about whether he should stand still or dart away. He was created on a small 4x5 inch canvas panel and can be viewed or purchased by visiting my Etsy Shop at this link. When my daughter was small, she had several pet bunnies. Though they lived in a hutch in the backyard, she used to put them on a leash and let them walk around like they were actually trained or something. They were really darned cute. The memory of those cute little guys made painting this little one even more fun. I couldn't wait for the paint to dry so I could share this fun little portrait. 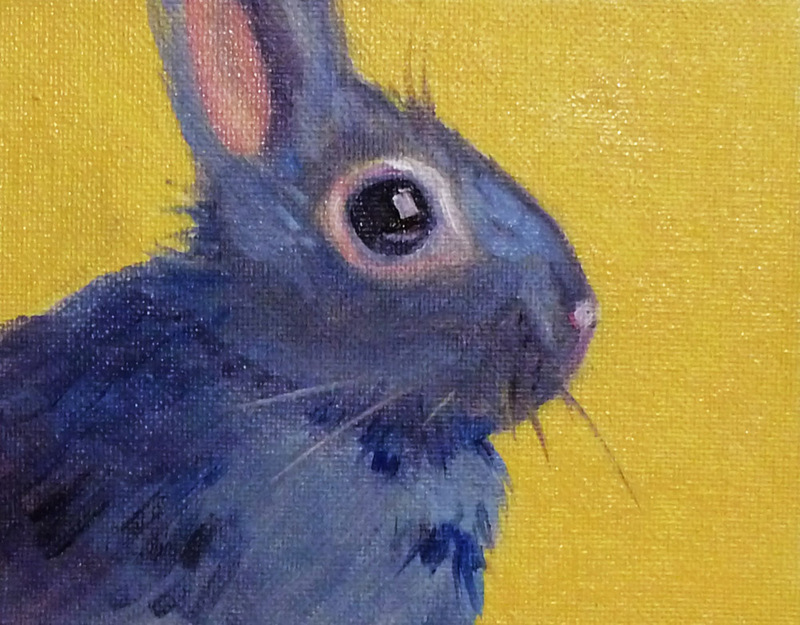 He is on a 4x5 inch canvas panel and has SOLD, but I have several other bunny paintings that are drying and will be placed in my Etsy Shop as soon as the paint is dry. It has been a fun little series to work on. Please visit. 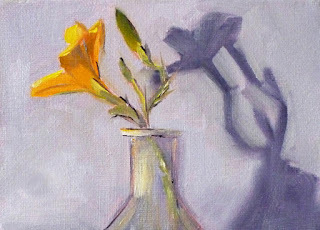 With every day that passes, I think the last of the Day Lilies in my yard have come and gone. I've been quite wrong this year. We are having one of the driest fall seasons on record and the flowers keep on blooming. I love it! I was sure when I picked this one, it was the end, but that was weeks ago. This small 5x7-inch painting is available for purchase here. It was created on gallery-wrapped canvas and can be hung with or without a frame. One of my favorite places is the Pacific Coast. From Canada all the way to Mexico, beauty is always there. 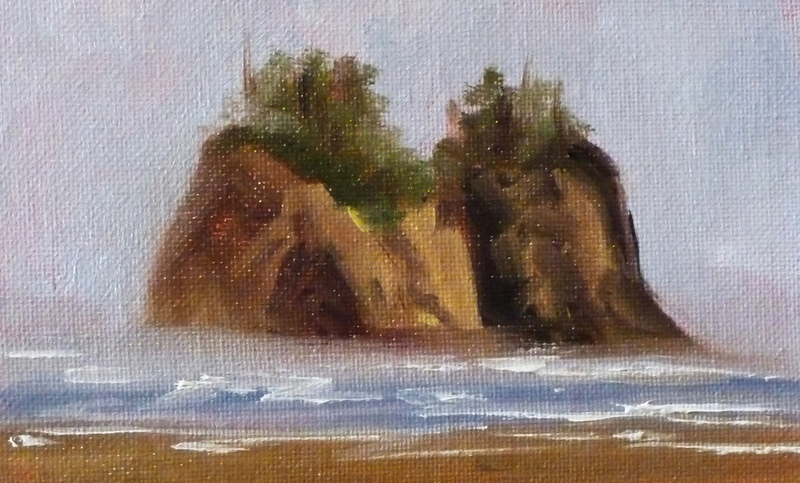 This miniature oil painting is 4x6 inches and was inspired by the sea stacks that are found up and down the Washington/Oregon coast. I wish the cool mist and evergreens were in front of me right now. This little painting can be purchased in my Etsy Gallery by clicking here.